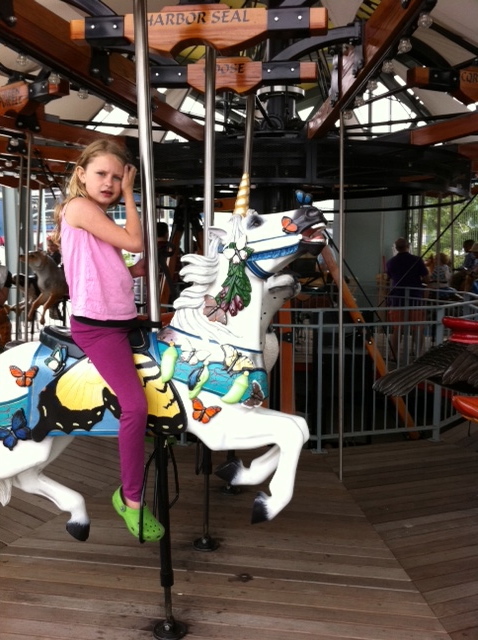 Yesterday I took Nic and Emma to a relatively new carousel on the refurbished park along the Hudson River. It’s unlike other carousels in that it has a wide variety of animals, fish and insects instead of the traditional horses one usually sees. Emma likes to ride on the Atlantic Sturgeon, with the Unicorn and Wild Turkey coming in second and third. “I’d have to go with the Harbor Seal,” I answered. “Okay, here I’ll show you,” I said, taking a piece of gum from his remaining pack. “Emma blows huge bubbles. I just don’t get it,” he said as I chewed the gum, trying to get it to the right consistency. “Exactly, so she’s had a lot of practice. But here, watch.” I tried several times to demonstrate how to blow a bubble, which is quite a bit more difficult to explain than one might think. We watched Emma for awhile on the carousel. 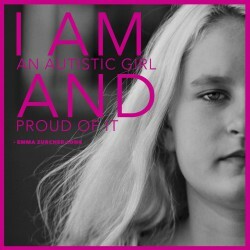 “I mean Emma’s so good at some things, but so bad at others. Like she can blow bubbles and taught herself to swing and she’s really good on the scooter, but she still can’t read or write very well. I think it’s interesting,” he said. “But I don’t get it.” He looked at me expectantly. Nic kept trying to blow bubbles with his gum. “Does that make sense?” I asked. Nic stared at me with a little half smile on his face. Nic kept grinning at me. This entry was posted in Autism, Parenting, Siblings and tagged Autism, autism & parenting, autism & siblings, autism and parenting, autism children, autistic, autistic children, Parenting, parenting an autistic child, Siblings, siblings of autism. Bookmark the permalink.